Welcome to the Winnebago County Conservation Board, one of 99 county conservation boards in Iowa. We are located in the rolling hills of north-central Iowa's prairie pothole region. Our purpose is to provide outdoor recreational opportunities for everyone and to protect and conserve our natural resources. Scroll down for the latest news and browse through our web site often to see what we have to offer! And, be sure to contact us if you have any comments or questions! Read the latest edition of "The Prairie Country Quarterly" here. The Holland Prairie and Youth Conservation Area is no longer open to the public. It is now private property and no trespassing is allowed. Please respect this and do not trespass on this property. Thank you! for our new Environmental Education Center! 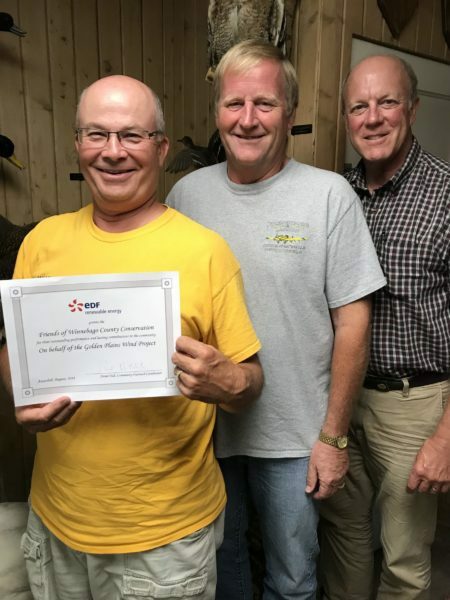 We truly appreciate their support of this project! and Paul Fitzgerald (Friends Foundation). we have applied for and received numerous grants and donations from various businesses and organizations. and the John K. and Luise V. Hanson Family Foundation, $400,000 (see above). for their support of this project! 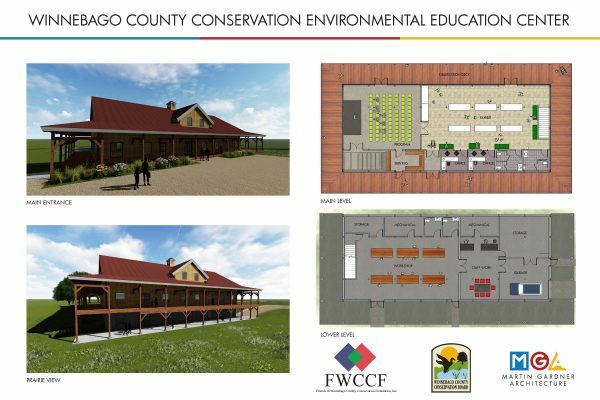 The WCCB and our Friends Foundation have begun a capital fundraising campaign to raise money for our new environmental education center. Below is information about that campaign and how you can help! Why an Environmental Education Center? Currently, Winnebago County has no environmental education center. The WCCB offices are housed in a 65-year old converted cabin which is not ADA-compliant and is at the end of a 5-mile gravel road. The current building is less than 2,000 square feet and can accommodate fewer than a dozen visitors at a time. Almost 3/4 of Iowa's counties now have nature centers. These facilities get people outdoors and promote an increased quality of life. They offer environmental programming for school and civic groups, as well as the general public. They are tourist destinations that help visitors learn about the valuable natural resources of the area and also serve as meeting locations for local civic groups and other organizations. Our center would serve all of these purposes, as well as house the offices of the WCCB. The center will contain exhibits and interactive displays to help increase people's awareness and knowledge of their natural resources, as well as how to conserve those resources. It will be centrally-located in the county, just south of the north junction of Highways 9 and 69. The building will be 40' x 96', or 7,680 square feet over two levels. It will be a post-and-beam design, with 28'-high vaulted ceilings. The building will meet ADA specifications for accessibility. It will include a variety of green design elements, including geothermal and solar energy systems. Rooms will include offices, a large program/meeting room (that will seat 85-100 people), an exhibit area, a workshop/activity area, a staff meeting room, and a kitchenette. It is estimated that the cost of the new center will be between $1.1 and $1.2 million. The WCCB has already voted to commit $225,000 of non-tax dollars to the project. The rest will be raised through grants and private donations. We do not anticipate using any tax dollars for the construction of the center. Bald Eagle Level: $10,000 and higher. 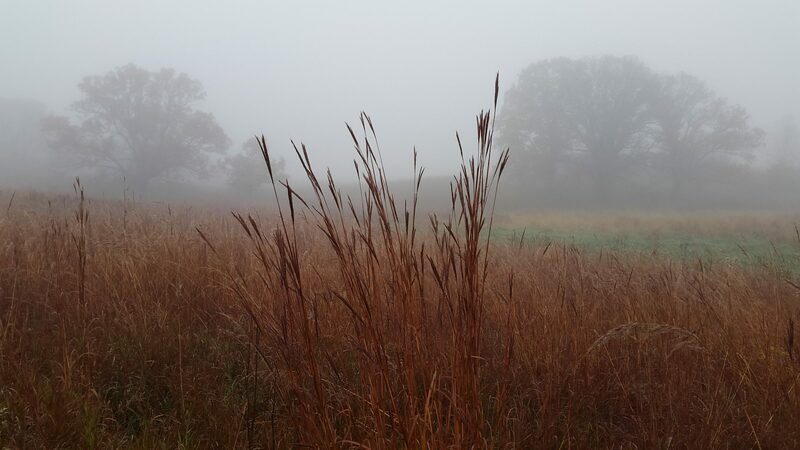 All donations under $250 will be recognized in "The Prairie Country Quarterly," our quarterly newsletter. Donations above that amount will be recognized at the center itself. A variety of naming opportunities will also be available for larger donations. Fundraising will continue throughout 2018. Assuming we have a successful campaign, we hope to begin construction by Spring, 2019. And, if all goes as expected, we hope to be holding our Grand Opening in the Fall of 2019 or the Spring of 2020! The Friends of Winnebago County Conservation Foundation, Inc.
You can also donate via credit card, debit card, or Pay Pal. Our Friends of Winnebago County Conservation Foundation is a 501(c)3 non-profit organization, so your contributions are tax-deductible. 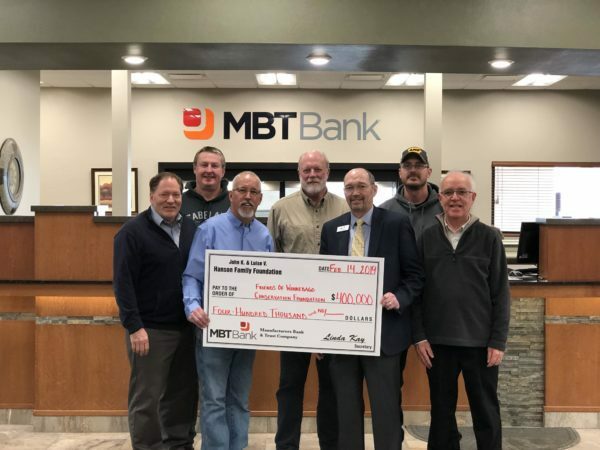 If you have questions about this project, or if you would like to make an especially large donation, please feel free to call and talk to us at 641-565-3390. 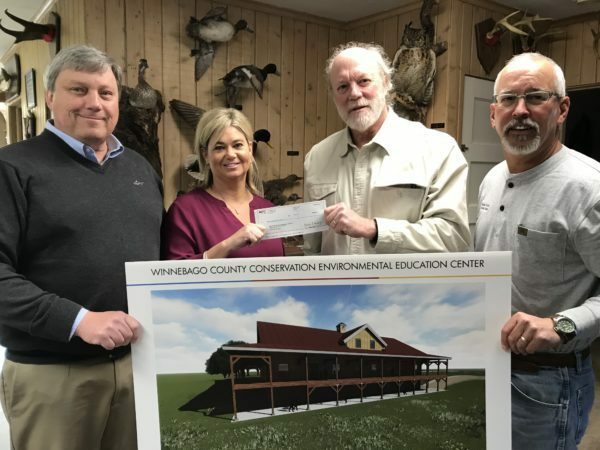 If so, you can help out our Friends of Winnebago County Conservation Foundation! Just click here and you can designate us as your preferred charitable organization! 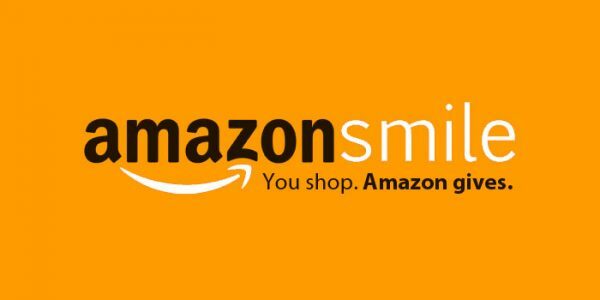 Then, each time you shop, go to smile.amazon.com and .5% of your qualified purchases will be donated to our foundation. It's an easy way to donate, and it doesn't cost you anything! For more information about AmazonSmile, click here. Be sure to check it out. And, thank you! Treat yourself to a relaxing stay at the Lake Catherine Cabin! 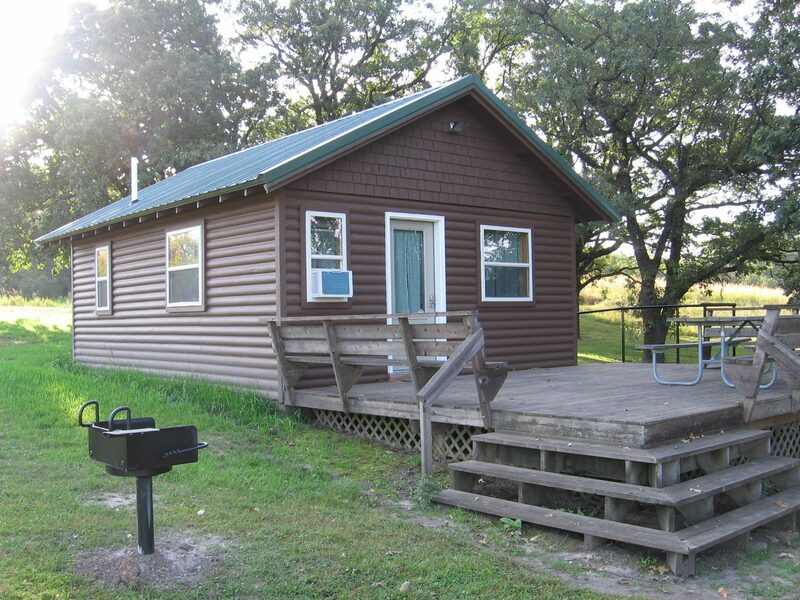 Cabin rates are $57.75/weeknight and $73.50/Friday and Saturday nights. (These rates include sales tax.) To reserve the cabin, please let us know the dates using our reservation button below. Then, fill out the rental agreement above and return it to us either through the mail or electronically. Finally, send your payment in (including a separate $100 deposit check). Let us know if you have any questions! We will contact you to confirm your reservation. Thank you! A two-night minimum stay is required on weekends. Our campgrounds at Thorpe Park and Dahle Park will open for the 2019 season on Friday, May 3rd! The camping fee at Thorpe Park will remain $12/night for the electrical/water sites and $8/night for the tent-only sites. All sites at Dahle Park will remain $5/night. Happy camping! The Decorah bald eagle nest is on hatch watch! Mom and her new mate (DM2) have two eggs and the eggs should begin hatching any day now! So, be sure to watch as the pair hatches and raises their little eaglets. It's the best "reality TV" there is! The road through Thorpe Park has firmed up and is once again open. We thank everyone for their patience and encourage them to come visit the park! 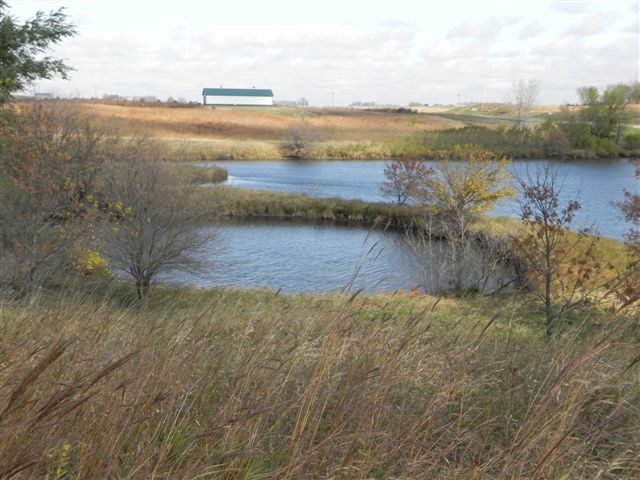 The Holland Prairie and Youth Conservation Area is no longer open to the public. It is now private property and no trespassing is allowed. Please respect this and do not trespass on this property. Thank you! The road through Thorpe Park has been closed because of mud and will continue to be until the road can firm up. People can still access the office and the shop, and can still walk into the park. We'll let you know when the gate is opened and auto traffic is once again allowed. We have a new Thorpe Park web cam! 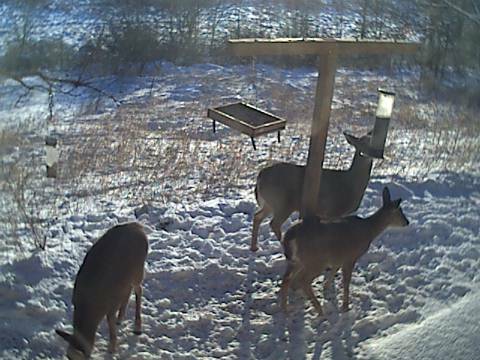 It may still be a little difficult to identify our feeder birds, but now you can see more of the park, including squirrels, deer, raccoons, opossums, and turkeys. The web cam link is available at https://t.co/FOhlsJXPTF. We hope you enjoy it! Do you garden? Do you like bees and butterflies? If so, join Lisa Ralls, Winnebago County Naturalist, as she talks about planting Pollinator Gardens! Shown are: Larry Vold and Tim Ranes (Friends Found. ), Robert Schwartz (WCCB Dir. ), Tim Missal (Friends Found./WCCB), Dennis Busta (Pres./CEO of Manufacturer's Bank and Trust/Hanson Found. Community Adviser), Jeff Schmidt (WCCB), and Paul Fitzgerald (Friends Foundation).